29, born in Waldoboro, Maine, passed away unexpectedly and tragically on Jan. 1, 2013 in Austin, TX. He was born at home in Waldoboro to Kenneth G. Stewart and Susan M. Calhoun. Nathan lived in the Damariscotta area until 1990, when he and his mother moved to Portland. He attended Longfellow, Presumpscott and Lyman Moore schools, and graduated from the Aucocisco School in Scarborough (now Cape Elizabeth). Nathan started rock climbing at Fort Williams, and travelled with his mom to Mt. Desert Island many summers for rock-climbing and camping vacations. He was very tech savvy and loved playing video games. While in high school he saved up and bought himself a computer specifically customized for gaming. He also preferred warm climates, so after graduation he attended Abraham Baldwin College in Tifton, GA, to study Computer Science. He then transferred to Full Sail University in FL to study Game Design. Nathan enlisted in the Army in 2004, and served honorably until 2010. He was deployed to Iraq twice, in 2006 and 2008. While on leave, Nathan, who was fascinated by other cultures, travelled the world. He visited Europe, Aruba, India and Thailand, where he learned to scuba dive. He fell in love with the island of Koh Tao and often said that he wanted to live there and teach diving. After returning home, he travelled around the country, attended the Burning Man festival in NV twice, and settled in Austin. He planned to attend Austin Community college this year. To honor SGT Nathan Stewart, his mother, Ms. Sue Calhoun honored her son by choosing this stone from Mount Desert Island. Sue describes this stone and what it says about Nathan. When hikers carry this stone they need to know that Nathan believed in Justice. He wanted all people to be treated fairly and equally. No one person or group was any more important than another. Nathan believed in treating everyone with dignity and respect. He accepted all groups and all walks of life. Nathan was intelligent and loved to try new things even though he had a learning disability. He was strong willed and liked to test his limits. The Army was the one organization that pushed back! He loved the excitement of the Army. He lived without fear and loved to be sarcastic and adventurous. He loved Scuba Diving and Skydiving. He was a dare devil too, climbing over and under waterfalls, taking chances in life and living every day to the fullest. He was a very seasoned veteran with several deployments and he loved his dog “Panda” who was a Aussie Shepard and he raised him on his own. Finally, Nathan loved computers and computer science. He wanted to get a degree in game design. Eric Hilton wrote — It was an Honor to carry a Stone for our Good Brother Nathan Stewart up Mt. Chocorua on the 17th of August. A Beautiful day of over cast and sun with some rain. Knowing that Nathan was a man that stood for Justice, I allowed that virtue to be the teacher of the Hike. Justice is the good that we must do, and it has to be done! Thank you to The Summit Project and Jack Cole Sue Calhoun (Nathan’s Mom) for the Opportunity! — with Cayce Lannon and Sandra Garfinkel. I had the privilege to carry the stone of Nathan Stewart on the TSP climb at Cadillac Mountain on Oct 4. I know that He loved to climb Mountain on MDI, it is also my favorite place to climb. I feel Nathan and I would of been great friends pushing ourselves to the limits, Nathan loved doing this. Justice is what he believed in, moral rightness based on several factors! I truly feel he would be right their carrying a stone with others and doing his part. It was very emotional for me, deep inside, and could really express the feelings I was having but I hope to have the honor to take his stone diving someday. I joined The Summit Project hike on Nov. 22 at Acadia National Park to do a story on this effort for the Maine Sunday Telegram Outdoors section. My intent was to be an observer; not to become a part of the story, in keeping with journalistic ethics. But sometimes humanity trumps professional prerequisites. So it was that I found myself stopping a third of the way up Dorr Mountain and telling the group I felt I needed a stone. As luck should have it, Em Malone of Boston, a veteran of the U.S. Coast Guard and The Summit Project, had brought two. She kneeled down, reached into her pack, and handed me Army Sgt. Nathan Stewart’s stone. Em told me Nathan’s life story as we hiked so that I could honor him appropriately at the summit of Cadillac Mountain, and I felt a small connection with the soldier I was honoring. His stone came from Acadia, a place he loved and visited often. And the park was my first introduction to Maine’s magical outdoor landscape 19 years ago. Four years later I would begin a career as an outdoor journalist in Maine that’s lasted 15 years and counting. So the beauty of Acadia has a personal meaning for me, as it did for Nathan. But as I read more of Nathan’s life story now I find it strange the other similar interests we share: That Nathan, too, had an Australian cattle dog he cherished, a friend who happened to be named Panda. My first dog, who nearly joined our hike, is an Aussie cattle mix. And I have a panda collection that’s been growing for 40 years since my Dad first started giving me panda gifts. In addition, my mountain-bike friends would say I ride through Maine’s mountains with a reckless zest for adventure, just as Nathan lived his life, traveling through other countries, climbing up rock faces and scuba diving under the ocean. These coincidences are small. But since Nathan also was a man who believed in justice and equality for all, I feel perhaps these shared passions and interests may be more than coincidences. Perhaps Sgt. Nathan Stewart wants The Summit Project’s story to be told more than his own. And his rock finding its way into my pack was his way of asking me to do that, not just now but in the future. Thank you for all you do !! Thank you so much for sharing your love as a mom and step dad for your son Nathan last weekend. I felt so lucky to get to know you both, and feel like we became close friends as you showed me pictures and told me stories from Nathan’s life. With such patience you offered up memory after wonderful memory, until the details of this young man’s brief time here on the earth leapt into my heart and took up residence in my mind. Though Nathan’s stone was small it weighed heavily on me as I carried it in my pack up out of the valley to its brief resting place on the mountaintop. I felt sad for what war does to brave young soldiers like Nathan, who struggle so hard to forge their own personal meaning as they strive mightily to overcome the obstacles this world throws in their path. It is the classic hero who overcomes all of these obstacles and goes on to triumph and inspire others. But that hero’s journey does not touch us as deeply, I think, as the journey of a young man such as Nathan whose all-too-human struggles remind us so powerfully of our own humanity. As I carried Nathan’s stone I thought of the pictures that you shared, of Nathan as a baby, a little boy, an adolescent, and a young man. It was so moving to witness your devotion to the act of keeping his memory alive so that we may all see his precious life unfolding through picture and story. Thank you so much for what you have given me, and all those who will carry Nathan’s stone to other mountaintops. Thank you Paul for your kind words. I have been going through Nathan’s computer this weekend and I am seeing some documents for the first time. I keep learning about who he was..it doesn’t ever end. A few weekends ago it was my honor to carry the stone of Nathan Stewart during the course of a GORUCK Light event. I have been involved with the Summit project for a few years now because of my brother, SPC Dustin J Harris. As I was testing the limits of my physical abilities I couldn’t help but think of the fraction of the struggles and tests that each soldier such as Nathan and my brother were put through every day. Thinking of this helped motivate me and push through each challenge that was set in front of myself and my team during this event. I take a tremendous amount of pride and joy in carrying TSP stones on hikes and events. It is a sense of healing and remember for me and I hope that with each hike and memory and story shared The Summit Project also gives the family of Nathan a sense of pride and joy, even if just a little. I know that The Summit Project has been a great help for me. I suddenly volunteered to carry Nathan’s stone at the beginning of this event to add extra weight to my pack. I am glad I was able to carry his stone on this slight journey into the military world. On June 5th and 6th I had the extreme pleasure to carry Nathans’s stone with me during GORUCK Challenge class #1500 (GRC) and share his story during the GORUCK Light #783 (GRL). How I arrived at choosing his stone was very simple since I shared a cabin with Sue and Jack during the Memorial Day weekend at Twin Pines. Seeing their love and how they so easily shared stories of his life made it an easy choice for me and was something I told myself I needed to do in the very first few minutes of meeting them. Nathan loved adventures, justice, and equality. He accepted everybody from all walks of life and he loved to challenge himself. The events I was involved with that weekend proved to be centered around everything he cherished. Very few of us knew each other when we started the GRC, but came out with some lifelong friendships. Be it a Physical Therapist, trainer at a gym, a clerk at a grocery store, or a theatre stagehand we all banded together over 14.5 hours and it didn’t matter what your past was while we were in the moment. We were there for the team and I can only imagine this is how Nathan felt while he was in the service. Nathan loved adventure and climbing on rocks near the water. I’m glad I had him with me on this one! I’ll paint the picture: it was ??? o’clock (we are not allowed to know what time it is during events) and it started to rain. We were 27 little headlamps on a beach who were told to “rehearse” climbing up a 12’ granite wall. After the ascent from the beach we went on a small hike up the railroad tracks, only to be told we were going to climb back down the wall into the ocean to retrieve a 20 foot, water-soaked log. Not only that, we also had to haul it over back over so we could carry it for “some amount” of miles. It remains one of my fondest memories of the team I was with that evening. I would find myself grinning ear to ear and I have a feeling that maybe Nathan was having a blast watching us. We completed the GRC in the early afternoon on Saturday and 3 hours later I started the GRL that would last 6 hours into the evening. At our start line I met up with some friends from TSP. Dylan Harris asked me if he could carry Nathan’s stone in his ruck and I quickly obliged. Dylan is a Gold Star family member and being able to laugh and spend time with him during the GRL was a delight. I absolutely love the connections I have made through TSP. The conversation I had with Sue prior to heading out for my adventure was fantastic and I could feel the love for Nathan in her voice. She was so eager to share some pictures of her young son and seeing his big grin while scaling rock walls has been ingrained in my mind ever since. Going into the weekend I had a great sense of who Nathan was and it helped propel me through the whole weekend. Jack and Sue, Nathan’s memory will never be forgotten. The man he was and his spirit will forever be carried along with who carries his stone long after we return the stone to MEPS. Thank you for being a part of this project and letting us into your lives. Thanks so much for this Scott. Just yesterday I got some photos I had never seen of Nathan’s graduation from boot camp in 2004, from a college friend of his. As soon as I can scan them, I plan to post them. You really captured his spirit. On October 17th, 2015 I had the privilege to carry Nathan C. Stewart’s stone to the top of Cadillac Mountain. We began the day with rain, which gave way to sun followed by a rainbow. It was already becoming a “Nathan” kind of day: full of intensity and pleasant unexpectedness. Our team excitedly chattered to each other while internally sharing our conversations with our soldiers. During our trek we pointed out slippery rocks to avoid to one another as I pictured Nathan purposely climbing onto the wet rock, daring nature to stop him. I overlooked cliffs with a fear of heights, imagining Nathan scrambling up them and smiling at us. It made me chuckle to myself when I thought about him being so interested in the outdoors, while also loving computers. He seemed like he was so energetic and intelligent that it would take two or three of me to keep up with him! About midway up, there was a young man on a mountain bike that asked our group to please move aside so that he could pass. While he expertly traversed his bike, we all watched in amazement as he sped up over the rocks with ease. Much farther on we crossed paths with the biker again. He spoke briefly with our flag carriers and then went to leave. As he did, we all observed him put his bike on his shoulder then confidently trot back down the rocky staircase. I thought to myself, “That is exactly how Nate was!” I smiled to myself as I thought about the firecracker of a man that I would soon get to speak about. I was the last person to share in our circle. Afterwards, one of my team leaders Scott “Skeletor” approached me. He explained that he had previously carried Nate’s stone. We both got huge smiles on our faces exchanging our mutual understandings about Nathan. My tears soon turned to laughter as we discussed his personality. It was a wonderful moment that only Nathan could have created. By the time we had our ceremony to return the stones, I had a sense that Nathan got that bit of justice that he felt so strongly about. I walked into the circle and spoke his name and rank as loudly and as clearly as I could. He would never want to be tied down, and now it was time to set his stone free. The day was incredibly full of emotion and bonding. The last thing I said in the sharing circle was that the world is truly a little bit dimmer without Nathan in it. I meant that with all of my heart. I am forever changed by Army Sgt. Nathan C. Stewart. Please take care and know that he will never be forgotten. What the Summit Project meant to me was that I got to go and help represent the fallen heroes of Maine. The walk around the city was a great exercise but also it felt good to be around people who were family or friends of the soldiers we were carrying the rocks for. I felt empowered carrying the weight of his stone because to me it showed the bravery of Nathan Stewart and each soldier. On 01OCT16, I had the honor to carry the stone and the story of Nathan C. Stewart up Kebo trail at Cadillac mountain. He was a veteran of the U.S. Army who served 2 tours of duty in Iraq. During his leaves he liked to travel, learn about other cultures and learn new things, like scuba diving. He was a man of integrity and justice, believing that all people should be treated fairly and equally; with dignity and respect. Being a man who liked adventures, from rock climbing, diving, hiking, camping and snowboarding, he travelled the country once he was discharged. He settled in Austin, Texas and was preparing to attend Texas Community College with the money he earned through the GI Bill. Sadly, on 01JAN13, Nathan was lost to suicide. This was my first event with TSP and as we started out on the hike, I kept preparing for what I was going to say at the sharing circle when we got to the top. Soon, my mind started drifting away, with the beautiful sites we were seeing and a new sense of adventure was found. I remembered that Nathan’s stone had come from Mt. Desert Island and I began seeing little stones of the same color and wondering if he had hiked this trail. This was one of his favorite places to climb after all. I began to think of his motivation and living life to the fullest. As my pack got a little heavier and my legs became weary with the boulders we stepped onto and over, I thought of his need for a challenge and this drove me on. As we formed the circle at the top, to share the stories of our fallen, I again started to think about what I had learned. As I listened to stories and it approached my turn, my emotions were spinning. I have carried a shield my whole life, being sarcastic is a way I deflect and this was one of Nathan’s qualities too. I had written down some bullet points so I wouldn’t forget anything, but once I was able to find my voice and start talking, I didn’t need it. It was as if Nathan was speaking through me. I learned that we are similar in many ways and for that I am grateful to be able to carry his story and stone. This adventure has helped me realize that fear is a challenge that can be overcome. I am ready to carry on Nathan’s mission of living life to its fullest. As I said on that mountain top, Nathan, you are my brother, now and forever. Don, Thanks for this description of your hike, and for continuing to keep Nathan’s memory alive. I am so happy that you sensed his adventuresome spirit and overcame your own challenge along the way. Nathan had no siblings, so it’s a lovely to think that he had/s brothers. I had the honor of carrying Nathan’s rock up Streaked Mountain in Hebron, Maine. Researching about Nathan’s family, hobbies, interests and his military stories and then having the opportunity to go to the top of the mountain and share what I learned was a humbling experience and one I will never forget. It was so bittersweet carrying a soldier’s rock up a mountain in remembrance. I have never had an experience like this one to have the opportunity to thank and recognize what Nathan did for our country. As I read about the life Nathan lived and how he lived every moment to the fullest I realized that everyone should be thankful for him, for he was the type to put everyone else before himself and fight for our country’s rights. Nathan sounded like a kindhearted man who everyone enjoyed being around. While reading about your son I realized how lucky I am to live the life I do today, and want to thank all the fallen soldiers for their service and how world changing their actions were. Reading that Nathan struggled with school due to a learning disability and still attended college was inspiring and really showed that Nathan had his mind set on something and never gave up! This inspired me to share his story with other peers because when things got tougher for him, he fought through them and overcame his challenges. We all need to have the attitude Nathan Stewart had. I also realized that Nathan and I have some similarities. Nathan enjoyed traveling around the world, hiking, rock climbing, and spending time outdoors. In my free time I also enjoy spending time outdoors, and hiking mountains. Eventually when I’m older, I want to travel the world and make a difference in our country just like Nathan did. Even though Nathan lived a short life, he made the best of those 29 years. As I hiked up Streaked Mountain and complained quite frequently, I came to a realization that I should not be complaining; for my hike was nothing compared to the work done and the sacrifices that Nathan made for my country and I. I realized that after everything Nathan did for us, I could make it up the mountain carrying Nathan with me, and share his story during the memorial at the top. Knowing Nathan, he would have pushed through and done the same. Lastly, I would like to thank your family for letting me be apart of this experience. And allowing me to carry your son with me to the top of the mountain in remembrance of him and his service to our country. Nathan’s memory or this experience for me will never be forgotten. Dear Grace, Thank you for your comment. I’m glad that Nathan was an inspiration for you. He had a lot of challenges in his life. I hope you are able to overcome and learn from any obstacles you encounter as you move forward in your life. Don’t worry – Nathan would have complained, too! It’s so wonderful to know that his life and his sacrifice continues to be remembered. If you have any questions for me, please do not hesitate to ask. The weather held true to the forecast: rain and cold, but the spirits of TSP are never daunted by conditions. My second mission with TSP began at Coffee By Design inside L.L. Bean in Freeport where 20 hikers and 3 Annapolis Midshipmen home on Thanksgiving leave would receive their Stones and learn about the Heroes. Before introductions were made, Dave discussed the presence of the 3 young men. They were given OPINFO, early and extended Thanksgiving leave, due to their performance, leadership and grades at the Naval Academy. He stressed that these young men are the future of the Marine Corps and Navy, and the next generation of our military. Their participation this day would maintain a connection between the leaders of tomorrow and the Maine Fallen. Dave presented me with the stone of Army Sgt. Nathan C. Stewart. As he passed it to me, he said that Nathan had taken his own life. I barely had the stone in my hands before my eyes filled with tears. I would be challenged today. We were allotted just a brief amount of time to learn about our heroes today, rather than the weeks on my previous hike. I hoped I would be able to do this young man’s memory justice. In my research, what struck me initially, and most powerfully, was the love and friendship that existed between he and his mother, Sue. As a youngster, Nathan and Sue moved from the Damariscotta area to greater Portland, and enjoyed rock climbing in Fort Williams Park. Mt. Dessert Island was a favorite destination for their outdoor and camping adventures. Sue selected Nathan’s memorial stone from MDI. I am an only child of divorced parents, so I understand and appreciate the relationship built between these two. My mom is my best friend, too. Nathan attended college in Georgia, where he studied Computer Science. He transferred to a school in Florida, with a concentration in Game Design. Wow. How cool is that?! Despite having a learning disability he had the intelligence and confidence to attend specialized schools out of state. 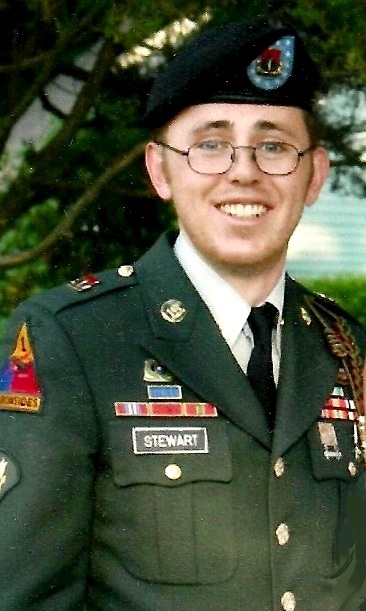 Nathan enlisted in the Army in 2004, and served honorably until 2010. He was deployed to Iraq in 2006 and 2008. While on leave, he loved to travel all over the world. This young man was FEARLESS!! Rock climbing, SCUBA, sky diving, traversing waterfalls! His favorite place was Koh Tao (Turtle) Island, off the coast of Thailand, where he wanted to live and teach diving. He loved his dog Panda, an Australian Shepherd (my favorite breed!). At the time of his death, in lieu of flowers, donations were made to the Maine State Society for the Protection of Animals. So, I read these things about Nathan. I also read that he believed in Justice, Fairness and Equality. He believed that all people be treated with respect and dignity. The question that haunted me: why would this spirited, passionate, intelligent young man take his own life? We arrived at Bradbury Mountain State Park in Pownal, most of us dressed appropriately for the rain. The weather assured us solitude on the trails. Perhaps that was Mother Nature’s plan, allowing us to gather and organize our thoughts and words for our Heroes. I was handed one of the two Maine State flags to bear on the hike. I was so proud! Our group was divided into 2 teams, circling the park from different directions, then meeting to summit together. The trails were slippery with fallen leaves and the rocks were slick. The recent heavy rains also gave challenges getting through the mud in places. Summer’s dry stream beds were now generously flowing. I found myself focusing on my footing and the flag. But I needed to connect to the setting, which would connect me to Nathan. I separated myself a bit from the group to quiet my mind and spirit. Being November, there weren’t many leaves on the trees. It seemed even the oaks had finally given them up. But around a bend in the trail was a grove of poplars with their golden leaves brightening the dark greens and grays of the landscape. I started to notice them everywhere. Silently, I spoke to Nathan, introducing myself and asking for his help in understanding him. What would I say at the Circle? I didn’t want to dwell on his untimely passing. I wanted to celebrate his life and the passion he held for his dare-devil actions! Bradbury Mountain State Park was defiantly too tame for Nathan! I occurred to me that Nathan was a contradiction: his world travels, envelope-pushing activities, and dreams of living and working in an exotic land were so different from an occupation of video game developer! Maybe his games were to be extensions of his exciting travels and challenges. Even now, I smile at the thought. Even now, tears in my eyes. We had our circle not at the summit, but under cover in the picnic area. We all spoke proudly and humbly about our Heroes, their service and their sacrifice. The young Midshipmen and their 2 young brothers spoke eloquently and with compassion. We were all so proud! They would carry the stories of the Fallen and TSP with them forever. It’s not how long we are here; it’s what we do while on this planet. I think Nathan achieved much in his life, and he lived it bravely. While on the trail and thinking of Nathan, I picked up a small stone and put it in my pocket. It’s on my dresser and I remember Army Sgt. Nathan Stewart and his fearless spirit every morning. Denise Benedict, I “borrowed” your statement “It’s not how long we are here; it’s what we do while on this planet.” and attached to our grandson’s FB page. Justin Buxbaum because that is exactly how I feel. My name is James Boyd, I am a student at Nokomis high school and a member of the JROTC program. 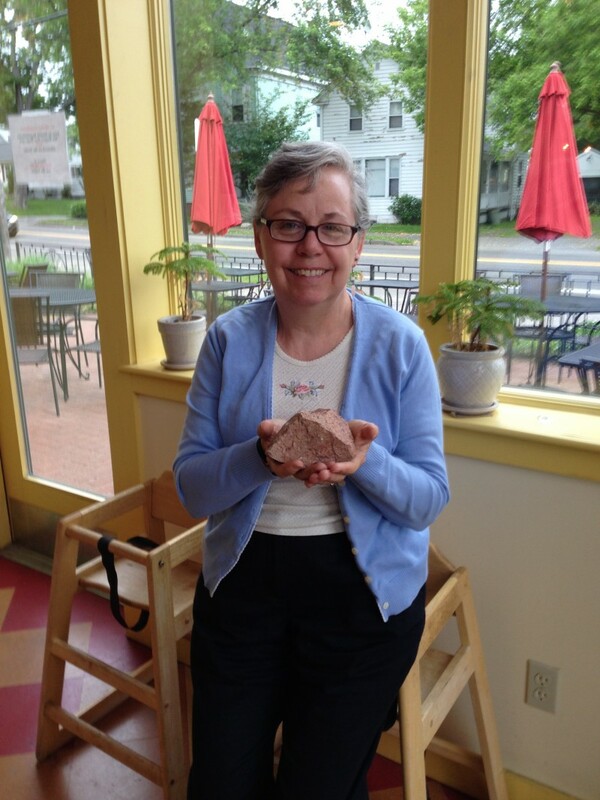 I recently had the honor of carrying your sons stone up Little Bigelow as part of the summit project. While climbing the mountain I had time to reflect. I thought about how I looked up to your son and what his sacrifice meant to me. I enjoyed learning about your son’s life and particularly enjoyed hearing about you and your sons trips to Mt. Desert Island for rock climbing and camping. I was also impressed on how much of the world your son saw, including Europe, India, and Thailand. Places I hope I can see someday. In short, I enjoyed learning about your son and his life, and I was honored to carry his stone. Thank you so much, Boyd, it’s such a comfort to know that Nathan’s life will not be forgotten. The Summit Project allows his memory to continue on and on. If you have any questions, feel free to contact me. It was one of my life’s greatest honors to carry Army Sgt. Nathan Stewart’s stone to the summit of Owl Mountain over Memorial Day weekend. The mission of this project begs (nearly requires) of you a selfless mindset and an open heart. When my boyfriend Andrew – who carried the stone of Army Sgt. Blair Emery – asked if I wanted to do a Memorial Day hike honoring Maine’s Fallen Heroes, I had no idea what awaited me. I asked to be assigned a stone and, once I started reading about him, immediately felt a connection to Nathan. The aspect of Nathan that especially resonated was his passion for Justice, kindness, and fairness. As I held his stone at the opening ceremonies and secured it in my pack the following morning for our hike, I felt a deep appreciation for Nathan’s caring and fierce spirit. Our hike was absolutely beautiful. The trail was a good deal steeper than I anticipated, and each time I went to complain or whine about my legs aching, I was reminded why we were all on that mountain in the first place. I was reminded that our purpose that day was to celebrate, remember, and honor the lives and legacies of Nathan and his counterparts. I was reminded that lungs still breathe air in and out; that our muscles and our legs still have life in them to carry us up the mountain; that our families still get to hear our voices on the phone. These reminders humbled me and, ultimately, carried me up and down The Owl. At the summit, I could undoubtedly feel Nathan’s spirit with us. Looking out over the vast expanses of Baxter State Park, I imagined Nathan being bathed in beautiful wilderness from the rolling oceans around Mount Desert Island, Maine (the place from which his mother picked out his stone) to the deep seas of his beloved island in Thailand, Koh Tao. I imagined him rolling around with Panda and then setting off on an adventure in a new part of the world with some preparation, but mostly just a craving to see new things, discover new food, and explore. Since returning to the base camp and entrusting Nathan’s stone back into the care of the Summit Project, I continue to be given opportunities from day to day to be fair, just, kind, and giving. Nathan’s memory – specifically the above tribute written by his mother – has encouraged me to choose the fair, just, kind, and giving path. It’s been a real honor to learn about Nathan and to continue sharing his story. Thank you, Sue and Jack, for sharing Nathan’s story and spirit with this project. Thank you, Bryn, that was a beautiful essay. I’m sorry I wasn’t there to meet with you. It’s comforting to know that these veterans will never be forgotten. I had the privilege of carrying the beautiful pink granite stone for Nathan during the University of Southern Maine (USM) Campus to Campus hike on September 11, 2017. I am a graduate of USM and currently I serve this community as the Vice President for Enrollment Management and Student Affairs. There were over 30 faculty, staff and students who participated in the USM Summit Project event. We all gathered on our Portland campus and we carried our stones 10 miles to the Gorham campus. I was born and raised in Bar Harbor, Maine, so I was truly honored to carry Nathan’s stone which you selected from Mount Desert Island. Having grown up on MDI, I could easily envision the places Nathan visited when he camped and vacationed with you on the Island. I understand the joy he experienced in hiking Cadillac and his love of rock-climbing on MDI. As I hiked with his stone I kept seeing the trails on MDI and felt his strong sense of adventure and his love of the outdoors. I loved reading and getting to know Nathan through the Summit Project. His strong sense of justice and his ability to treat everyone with dignity and respect speaks to his character and to his family. Thank you for raising a young man who so deeply cared for others that he made the decision to serve all of us. When I return to MDI (and I do often), I will carry Nathan in my heart and will try to honor him by treating all people fairly and equitability. I will think of him (and you) every time I see the beautiful pink granite of MDI. Thank you, Nancy, for remembering Nathan and what was important to him. Of course, MDI was one of those things! It’s so wonderful to know that he is remembered. I had the honor of carrying Nathan’s memorial stone and story to the summit of Cadillac Mountain on a beautiful fall day at Acadia National Park as part of Team Bubble. The hike was one of best with a TSP team. We were all there for the mission, and I knew Nathan was, too, as this was a place that was special to him. As we scrambled over some of the rocks, I though about how our ascent would have been “pedestrian” to him because of his love of rock climbing. Nevertheless, he would have enjoyed the hike and the camaraderie. Presenting the memorial stone to Scott Stitham was made more special due to the fact that Scott had taken him in the ocean as part of a ruck event, and I had the honor of carrying his story to the summit of Cadillac Mountain in one of the places he loved to climb. Sea to Summit! One of the things that struck me was his love of gaming and his desire to study Computer Science. I worked in technology my entire career, and went back to school for a degree in Computer Science. His desire to learn more and explore has been a driving force in my life, too. With his sarcasm and pessimism, we would have gotten along very well. I will forever carry Nathan’s story everywhere I go. TSP is all about telling others about the mission of the organization, and any time I get the opportunity, that’s what I talk about. I tell them about the general mission of TSP, but I also tell them about the heroes that I’ve been blessed to honor. A few things we should do to honor Nathan: Eat more Ramen! Think for yourself! And finally, treat everyone with dignity and respect! Hi Mike – I never commented on your essay. Seems like Nathan’s spirit was along for the hike, since you have described him to a “T” I just looked at your photos from this weekend’s hike at BSP, they were great! We are getting our condo ready to sell, so I had to miss it this year, too busy. Thanks for continuing to remember Nathan and all our heroes.